Welcome back! Today’s post is a very simple but helpful one! Have you ever asked yourself this question? What do I do with all these potatoes? I have. What to do after the potatoes start to go bad. Usually, my answer is to make gnocci. Sometimes though, I already have a freezer full of gnocci. 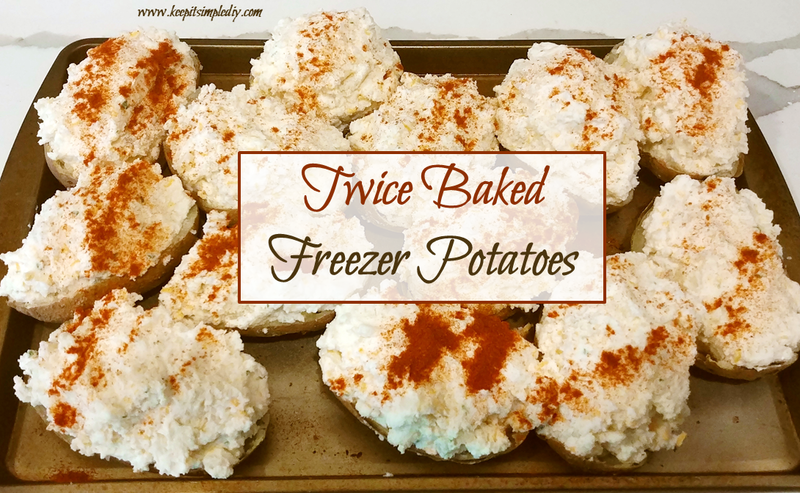 Thus, freezer double baked potatoes. Potatoes can be frozen if they are completely coated in dairy. So while not the most healthy, these sides are very delicious. Scoop the mixture back into the skins. When desired, take out of the freezer and bake them one more time.